Classical training isn't just about one sport. It's about improving all of them by taking key elements and improving the horse for the given discipline. Improving the use of the back for self carriage prevents injury during all sports while also improving performance and speed. Of all the enlightening works on the subject of horsemanship, La Guérinière's Ecole de Cavalerie, published in 1731, remains unsurpassed as the fundamental teaching upon which Classical dressage is based. 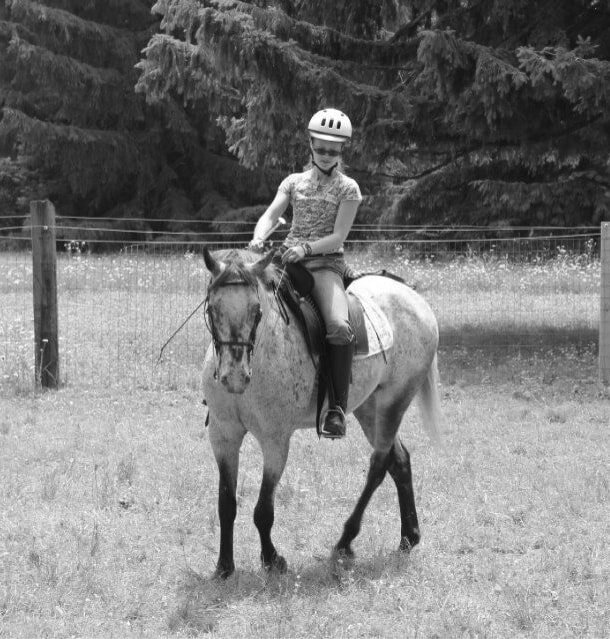 This set of principles in equitation requires the trainer to work with the natural aptitude of the horse in order to bring about harmonious movement. Classical dressage cannot be practiced without patience, kindness and the lightest of touch. It is a fluid art form that requires us to control ourselves as well as the movement of the horse, and only after years of dedication can we aspire to more than the occasional moment of perfection. As a riding journeyman Dara shares the rich heritage of Classical Dressage and horsemanship. Continuing a great family heritage of horsemanship through her German grandmother Diepholtz from Diepholtz Germany; a heritage going back to the early middle ages. Dara has been training within several riding disciplines for over 20 years. She has trained under Perelli Natural Horsemanship, Frank Grelo's classical principals from Canada and is developing her own style of training during her journey toward mastership. Using Classical Dressage she applies select principals to a variety of other riding disciplines to improve the quality of the sport and the comfort of the horse. Or training the horse all the way up to Haute Ecole Dressage: performing the movements of the piaffer, passage, Spanish walk, Spanish greeting, tempi changes, pirouettes and an air above the ground: the Levade. Dara is currently training at the Indiana Horse Rescue in Frankfort, IN. Following the belief that every horse deserves a chance at harmony and peace. Now taking on students in Indiana. Travels to your farm so students can apply principals directly on their own horses. All private unless friends get together for group lesson. Lessons priced for locations within 50 minutes of Indianapolis. Any locations with a longer commute will have adjustments.